Go dressed up as a large coffee cup! This is an adult size costume which looks like a paper coffee cup. 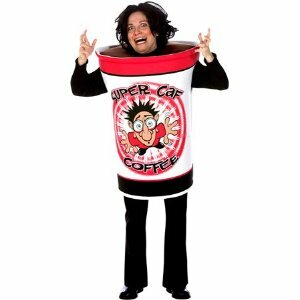 There isn’t a Starbucks version, but this is still a great cheap coffee costume. Funny, she looks like she just drank a whole gallon of the stuff!